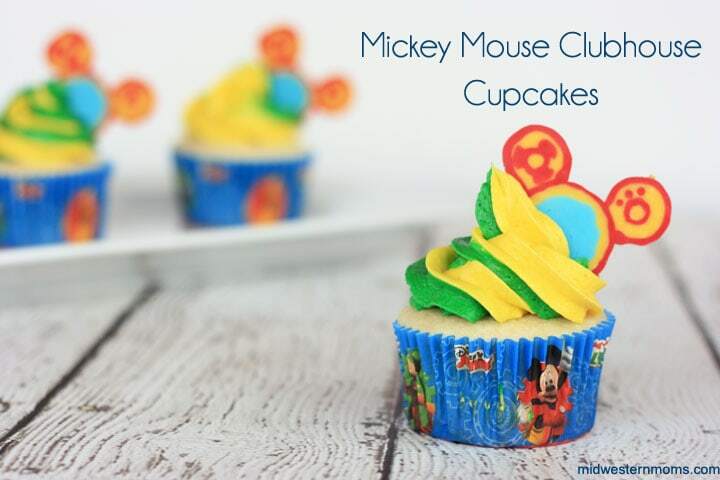 Easy Mickey Mouse Clubhouse cupcakes recipe complete with Toodles! 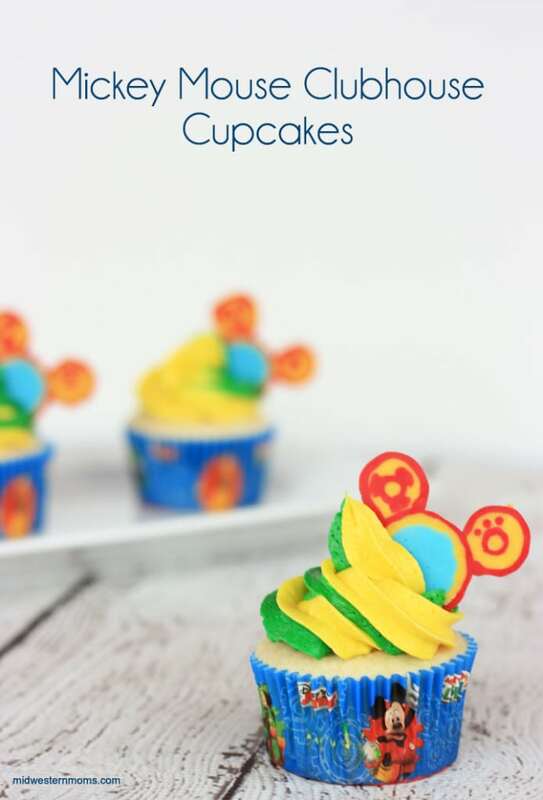 Perfect cupcake idea for a little one’s birthday! We celebrated my youngest son’s birthday last weekend. He loves to watch Mickey Mouse Clubhouse and recently has been pointing out all the characters as he sees them. 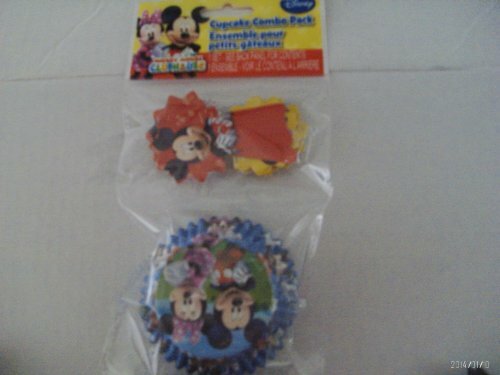 So, I figured some Mickey cupcakes were in order for his birthday. My oldest son was the one who actually found the cute cupcake liners, but I wanted to add a little something to the cupcakes to dress them up. So I decided to make Toodles coming out of the top of the cupcakes. Step 1: Tape your Toodles image to the cookie sheet. Tape the wax paper to the cookie sheet over the image. Step 2: Fill piping bags with candy melts and loosely twist the top. Be careful not to overfill the bags. Step 3: Microwave the candy melts according to the instructions. Step 4: Cut the tips off the piping bags. Be careful not to get too big of a hole or the candy melts will ooze out and it will be hard to control. Step 5: I started with the blue circle of Toodles’ face. I worked in assembly-line style so I did all the blue circles first before moving on. Step 6: Using the yellow, make an outline of the blue circle. Step 7: With the red, go around the yellow outline. Once you have the outline of the face done, it is time to move to the ears. Step 8: Using the red, make the small details inside Toodles’ ears and making the outside circle. Step 9: Using the yellow, make the inside area of the ears yellow. I recommend covering up the red details so that way everything will stick together. I also applied a layer of yellow over the whole back. Step 10: Put Toodles in the refrigerator. 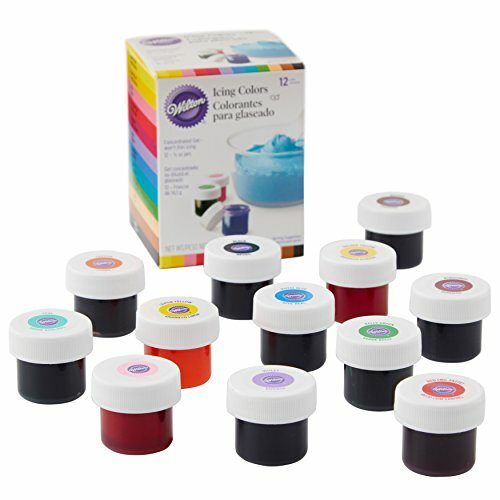 Keep there until you are ready to add them to your cupcakes. When adding them, simply slide Toodles into the icing like he is flying out to give Mickey a helping hand. If you are interested in how I made the green and yellow frosting on the cupcakes, check out my how to make a multi-color-cupcake swirl post. Our little guy loved his cupcakes and had a great party! 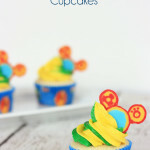 Easy Mickey Mouse Clubhouse cupcakes recipe complete with Toodles! 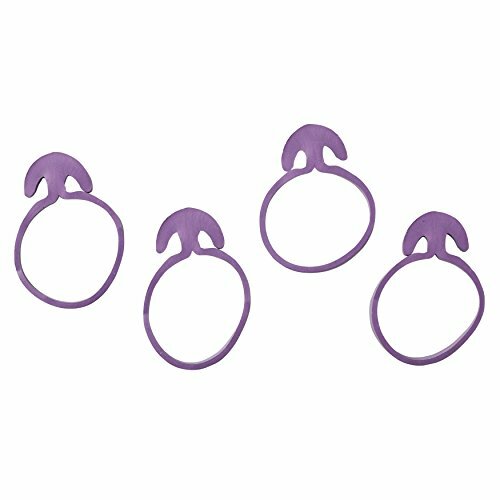 Perfect for a little one’s birthday! If you plan on make the Multi-Colored Swirl, I suggest make 2 separate batches of icing and color each batch what you want. That way you don’t have to worry about making more and making the colors match.